If you have made the decision or are thinking about making the decision to go solar, then you may be wondering – how does sunlight actually get turned into electricity? You may have other questions too, such as will your solar panels work on cloudy days, and will your panels work at night via moonlight, which, after all, is reflected sunlight? To find out the answer to these questions and a few more, please read on. The sun may be around 93,000,000 million miles away, but it is still a very powerful source of energy, and if you’ve even been sunburnt, you’ll know just how powerful! Solar energy came about thanks to a chance discovery. While studying light, the French scientist Alexandre Edmond Becquerel noticed that when certain materials, such as silicon, absorbed light, they “knocked” electrons loose. From this observation, he perfected the photovoltaic (PV) cell, which was a device containing an electric field that made these “knocked” electrons flow in a certain direction, hence creating an electric current. Modern-day PV cells still use the same principle. Here is more info about solar power. Q. How much does it cost to install solar PV System? And how much can I save? Everybody wants to know how much the system will cost them, and how much they will save with it, as the above questions go hand in hand. The answer to both? It depends. The cost of the system depends on several important factors such as: your exact location, your utility bill and more. The best way to know is to simply talk to local solar installers. Once the solar installers will gather more specific information about your home, they can than provide you with an exact estimate for the cost of your system and the savings. Please read our article about solar power cost, and also our article about how much do solar panels save for more information. You can follow the link to get our recommended solar PV system quotes. Q. How do I know if solar is right for me? 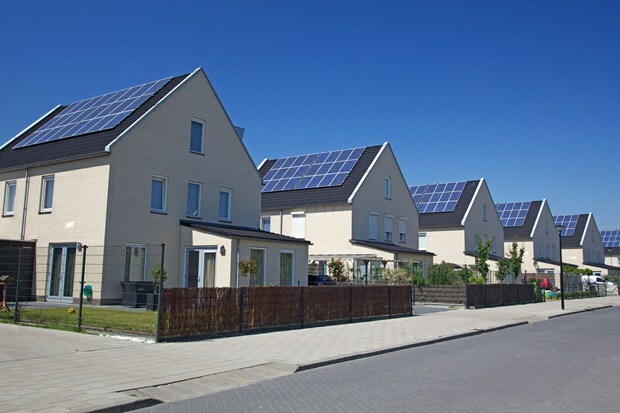 Well, if you are a homeowner, have a decent roof and enjoy some sunny days in your area, there is a good chance you can enjoy solar power of some capacity. Like the above answer, it depends on your specific home and location. You have nothing to lose, and everything to gain by talking to one of our recommended solar installers, and receive a free no obligation solar quote. Q. How do I choose the right Solar Installer for my PV system? An experienced and trustworthy solar installer is key to your system success. Most solar companies will have a NABCEP license. They will be certified and accredited, and will have all the insurance and warranties needed to install a PV system. And off course, they will have plenty of recommendations from happy customers. Please see our page about solar panel installers. Q. Do solar panels work on cloudy days? Yes, but less efficiently. The brighter the day, the more light arrives at the PV cells, and the greater the number of electrons that are sent flowing. If the sun is blocked by cloud, less light reaches the cells, and less electricity is produced. On a dull day, a panel will only produce between 10 and 25 percent of the electricity it can produce on a clear day. Q. Can solar panels work by moonlight? No, the sunlight reflected by the moon is too weak to generate any solar power. Your system will still power or at least partially power your home at night, as most systems come with a battery that stores some of the electricity generated during the day to be used at night. Q. How long do solar panels last? That depends on the manufacturer. Most PV solar panels for homes have a lifespan of around 25 years, but can run for 40 years and beyond. Q. Is there a need to keep solar panels clean? Yes, there is. PV cells only work if they receive direct sunlight, so anything that is blocking them will prevent them from generating any electricity. This could be leaves and other natural debris, bird faeces, and of course in winter if your roof is covered in snow, your panels will not work. In general terms, it is probably worth having your solar panels cleaned once every couple of months or so. Q. How much electricity does a solar panel typically produce? That depends upon the kind of system you install. As a general rule, each 1kW of solar panels produces 850kWh of power in a year. Therefore, if you have a 4kW system, you will generate 3,400kWh of electricity annually, which is roughly worth about $400, and is enough to power nine big screen plasma TVs for a whole year. Hopefully, that should have answered some questions you may have had about solar energy. If you wish to get more info about installations, prices and quotes, please visit our Get a quote page.